Infallible Techie: How to create Global Picklist Value Sets from existing pick list field in Salesforce? 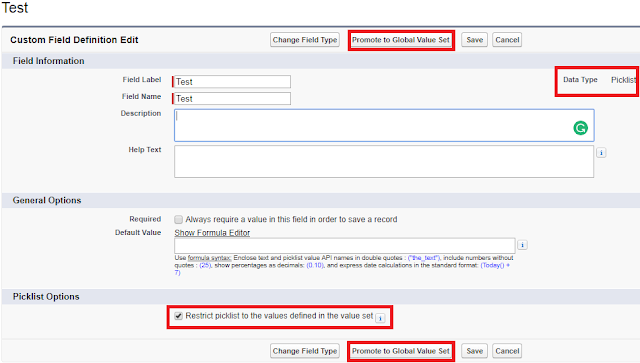 How to create Global Picklist Value Sets from existing pick list field in Salesforce? 1. Edit the pick list field. 2. Click Promote to Global Value Set button. 3. Enter Label and Name. 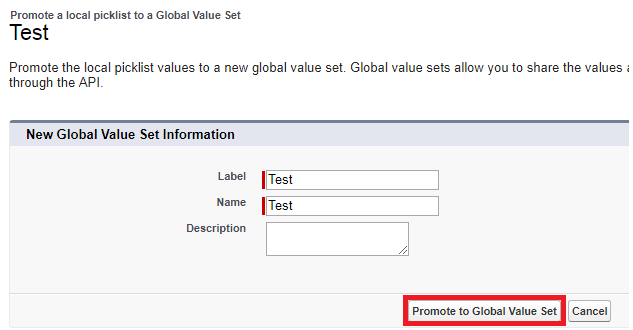 Click "Promote to Global Value Set" button.